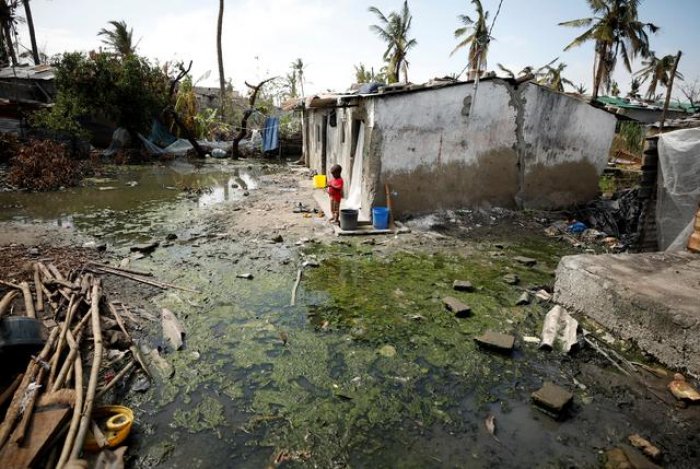 Mozambique said on Wednesday five cases of cholera had been confirmed around the badly damaged port city of Beira after a powerful cyclone killed more than 700 people across a swathe of southern Africa, Reuters reports. Cyclone Idai smashed into Mozambique around midnight on March 14 before tearing through neighboring Zimbabwe and Malawi, displacing hundreds of thousands of people and wrecking an area of 3,000 sq km (1,200 sq miles). Health workers were also battling 2,700 cases of acute watery diarrhea - which could be a symptom of cholera - Isse said, adding the government had organized a treatment center for cholera in Beira hospital.